This was my son's birthday card and he thoroughly appreciated it. The new Whatnot Sentiments Thirteen set is such a wonderful set with great encouraging and sweet sentiments... but this is what I thought of first. LOL! 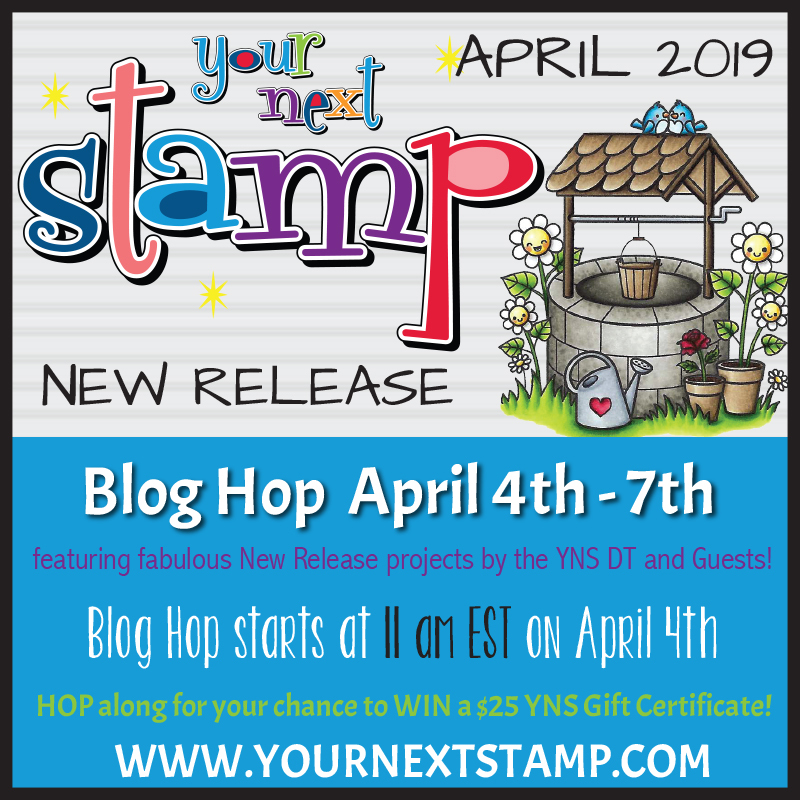 The monster is from Silly Monsters and the inside of the card says... "RAWR: Hello in Monster"
I have a sweet, spring-y card using florals for the new challenge over on the Your Next Stamp blog today. Be sure to stop over there and leave a comment to be in the prize draw, and play along with the challenge for another chance at a prize! I colored my image with Copics today, aiming for a pastel-ish watercolor look. I love the soft colors! 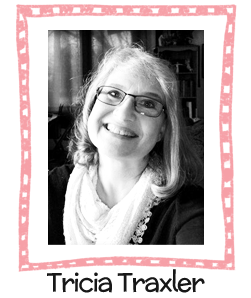 I used the new Joyful Wishing Well set for today's card and aimed for a storybook look. 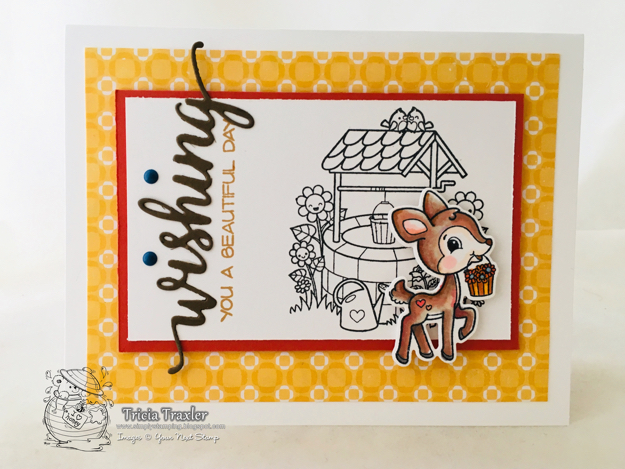 I stamped the wishing well in Black Olive ink on my main panel and then stamped the little deer, die cut it with the matching die and colored it with Copics. 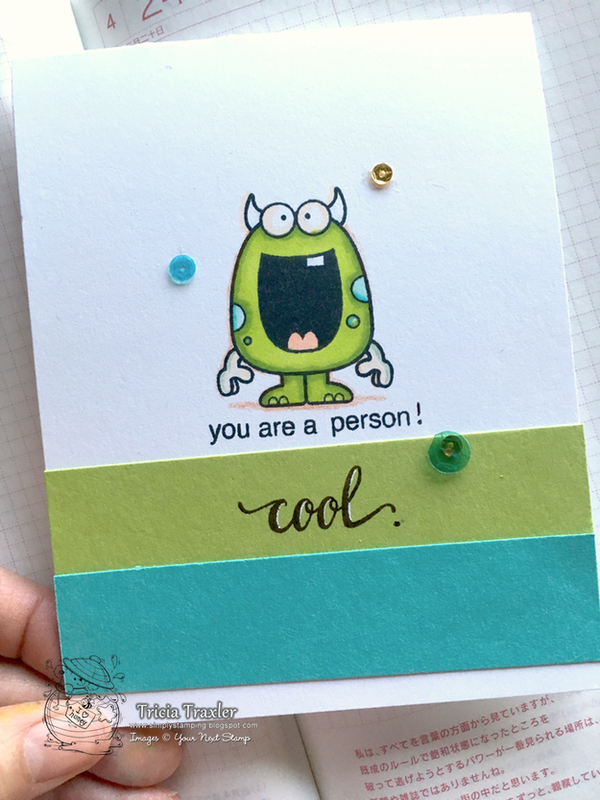 I cut the Fancy Wishing Die out of brown card stock and used a couple of Love Earth Gumdrops as the dots for the "I"'s, so I didn't have to try to pick up those tiny pieces of paper. :). I used different thicknesses of 3D Foam to give the piece some dimension. Ready to shop?? 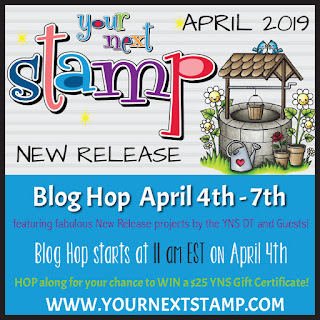 Karen is offering 20% off your purchase at the Your Next Stamp store for the next few days so you can pick up all your old and new favorites. 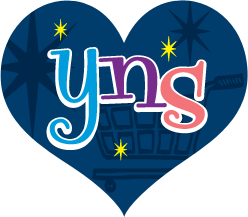 Just click HERE to go shopping! Now you are off to continue hopping. Thanks so much for stopping by and leaving a comment! You absolutely make my day! !